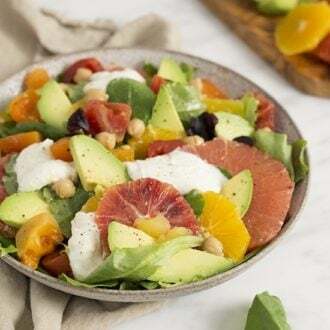 This delicious avocado salad features lots of citrus, avocado, creamy burrata, tomatoes, chickpeas, and a light zingy dressing. 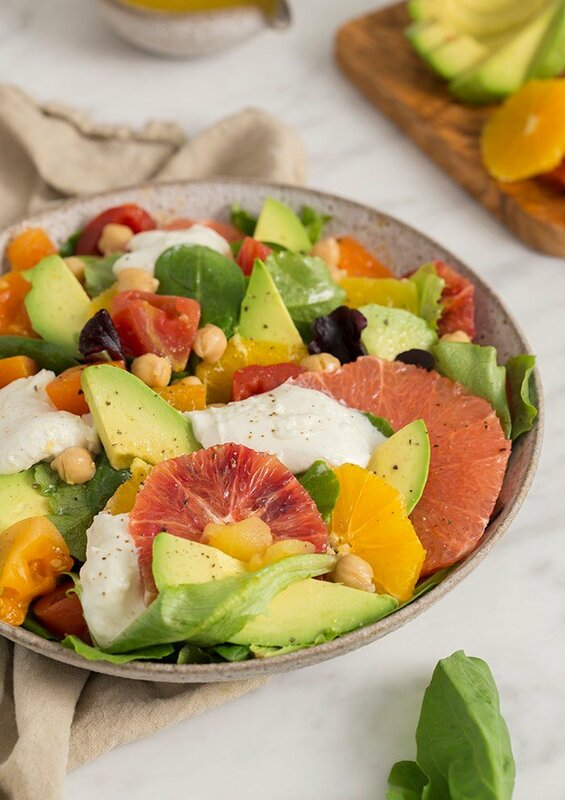 Creamy avocados, zingy citrus and decadent burrata make this salad a must make recipe! I used a sweet blackberry vinegar to make a light and zingy citrus dressing for this salad. You can sub in a white wine or champagne vinegar in it’s place but a balsamic dressing would work very nicely as well! How Do You Make An Avocado Salad? For the salad; start off by cutting the peels off of the blood oranges and grapefruit. Once you have your peeled blood oranges and grapefruits, cut them into thin slices. Cut the avocado in half, remove the seed and the skin, then cut it into slices. You’ll also want to cut the burrata into thin slices as well. For the dressing; in a small mason jar or bowl, pour in 1/4 cup of olive oil. Add 1/4 cup of vinegar. 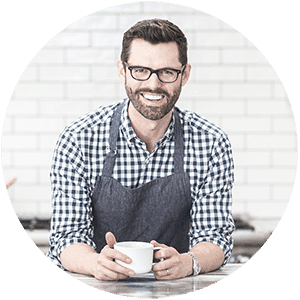 I used blackberry vinegar, but you can use a white vinegar or another kind of your choice. Cut the orange in half and squeeze in about 3 tablespoons (hold the seeds!). Add the salt and pepper, put the lid on and give it a good shake. Combine all of the ingredients into a bowl and give it a toss with the dressing. Enjoy! If you’ve tried this avocado salad then don’t forget to rate the recipe and let me know how you got on in the comments below, I love hearing from you! Cut the peels off of the blood oranges and grapefruit. 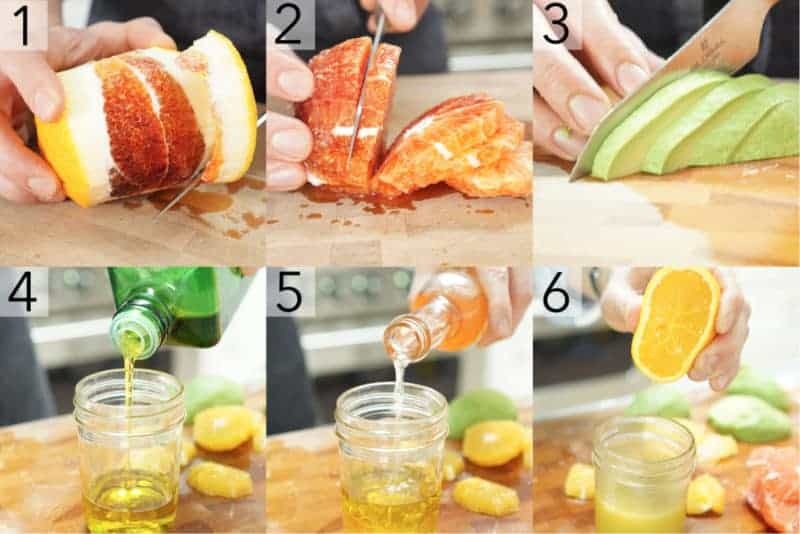 Cut the oranges and grapefruit into slices. Cut the avocado in half. Remove the seed and cut into thin slices. Add olive oil, vinegar, salt and pepper into a small mason jar. Squeeze in about 1 tablespoon of fresh orange juice. Close the lid on the jar and shake it up. Place the washed mixed greens into a bowl with the rest of the prepared ingredients including the chickpeas and summer ready tomatoes. Pour the dressing on top and toss the salad. Hey John! I saw you posted this salad on instagram today and i just wanted to tell you that I made it and it was delicious! Thanks for all the recipes!! Thank you for the positive feedback! I’m glad you enjoyed this salad. It’s so FRESH! This recipe looks awesome. Looking forward to trying! Very much liking your use of those cool canned tomatoes. That is the perfect salad for summer.